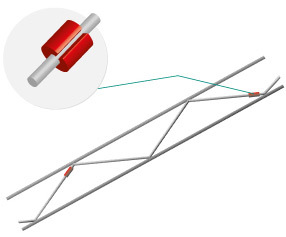 fisufor® 3D is a prefabricated bed joint reinforcement formed by two parallel longitudinal wires that are joined by a central wire. 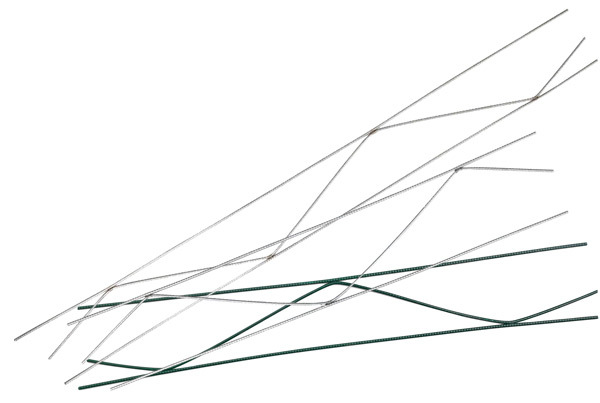 The central wire forms a truss structure and is soldered in the same point along the inside of the longitudinal wire. Therefore there is no overlap of the longitudinal and transverse wires, and the maximum thickness of the reinforcement is equal in diameter to the two longitudinal wires. 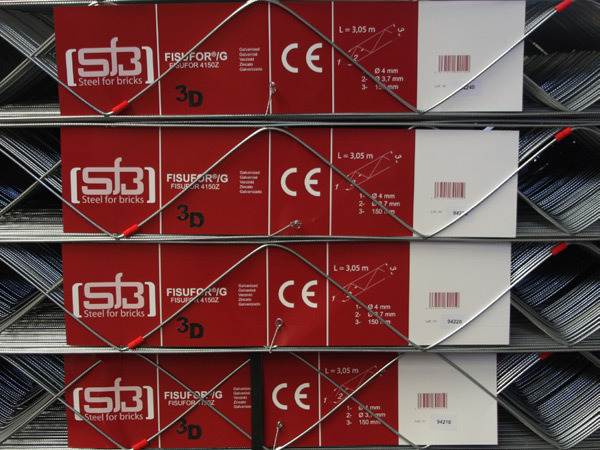 The steel used in its manufacture is of in accordance with the standard EN 10020.
fisufor®3D has the CE marking in accordance with the specifications of the standard EN 845-3. This reinforcement is characterized by the incorporation of separators along the transverse wires; the separators are plastic with cylindrical geometry which ensures the minimum coating of mortar, allowing proper implementation and maximum working potential. - fisufor® 3D Z, manufactured with steel wire given a zinc galvanised coating with a minimum level of 70 gr/m2 in accordance with standard EN 10244. 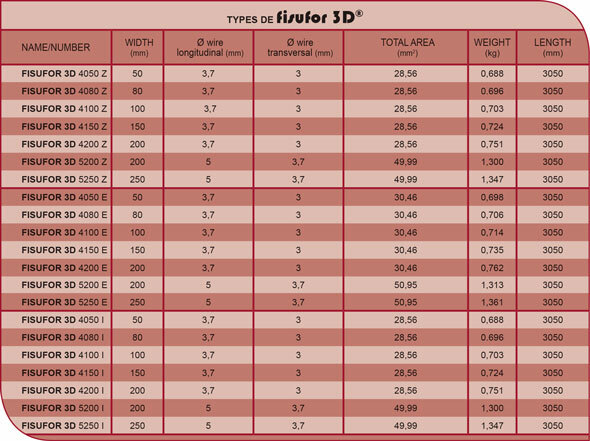 - fisufor® 3D I, manufactured with stainless steel wire in accordance with Standard EN 10088. - fisufor® 3D E, manufactured with steel wire given a zinc galvanized coating with a minimum level of 70 gr/m2 in accordance with EN 10244 and subsequent epoxy coating of at least 80 μm in accordance with standard EN 10245. Diameter of the wire: fisufor® 3D reinforcement is manufactured with longitudinal wires that have a diameter of 3.7 and 5 mm and transverse wires with diameters of 3 and 3.7 mm. Width of the reinforcement: fisufor® 3D bed joint reinforcement comes in widths ranging from a minimum of 50mm up to a maximum of 250 mm. Piece length of 3050 mm. Packets of 25 units. Each packets contains ID label with description of the product, its barcode and batch number.